Cape Town – The big screen adaptation of the popular 80s video game Rampage hits cinemas this weekend. Loosely based on the game series it t follows a primatologist (Dwayne Johnson) who must team-up with George, an albino gorilla who turns into a raging creature of enormous size following a rogue experiment, in order to stop an invasion of monsters. 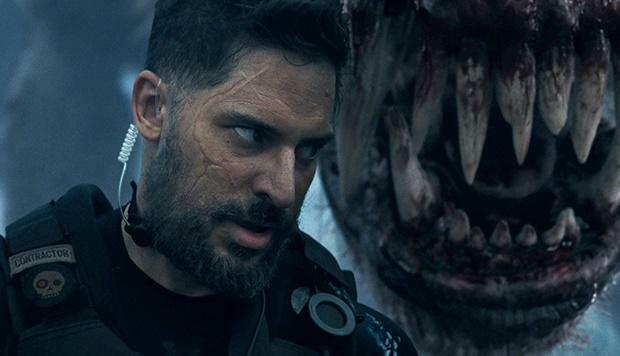 Joe Manganiello plays Burke, the leader of a private military group who is called in to deal with a mutated wolf. Manganiello sat down for a quick Q&A about his role. I understand that you have some familiarity with the Rampage game. Did that factor in your decision to be a part of the film? I’m 41, so Rampage was right in the sweet spot of the golden age of arcade games. I grew up playing the game. Tell me about your character, Burke. 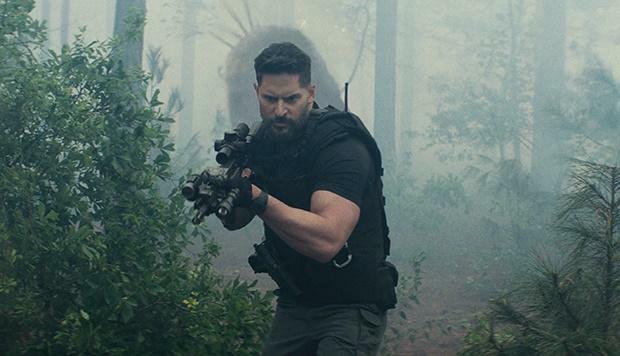 He’s a former Navy Seal who heads up a security team of mercenaries for a pharmaceutical company that has weaponised a new genetic editing technology. When that pathogen has some unexpected consequences, Burke is sent to do some recon, which turns into some major damage control. The “damage” Burke and his team are sent to control is a super-sized, genetically modified wolf. Since it’s a computer-generated creature, did Brad show you any pre-vis or concept art, so you knew what you were going up against? Brad is incredible when it comes to prep. He did show us pre-vis, and even made small paper models of helicopters and creatures and the terrain, and then filmed them on his iPhone to illustrate the camera movements he was planning. Brad even had drawings to show us exactly what he was looking at and what he thought the scenes were going to look like with the CGI added. I could not have been in better hands. What was your reference for the wolf as Burke and his team wage war against it? Sometimes, it was markers up in trees. One time, I was holding a rifle at a certain height, and I remember Brad coming over and saying, “No, this wolf is twenty feet tall.” I had to point my rifle twice as high as I originally had it. The irony was that I spent five years on True Blood playing a man who transformed into a wolf and now I was being hunted by one. Joe Manganiello in a scene from the movie Rampage. How did you prepare for Rampage? I’ve done so much intense work over the years with those [military] guys, that it’s second nature to me now. For Rampage, I went out shooting with my buddy, who is a former SEAL, to brush up on my skills before I left to begin work on the film. Were there any moments on set that stood out for you? There were long days with a lot of stunts and physicality. Whenever you get a bunch of guys together on a set, shooting long hours, there’s a camaraderie and brotherhood that forms and leads to everyone trying to crack each other up all day. Are you a fan of big action-adventure films, like Rampage? Absolutely. I loved action movies growing up, and still do. I was obsessed with monsters, which is probably why I had such a great time playing the Rampage video game. Rampage opens in cinemas nationwide on Friday, 13 April.